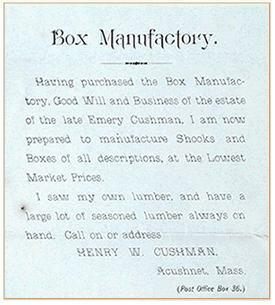 Beginning with Henry W. Cushman’s box Manufacturing in Acushnet, Massachusetts, Ed and Henry Cushman are the fourth generation of the family to service the lumber needs of New England. Cushman Lumber Company was incorporated July 22, 1974 in Winchester, Massachusetts by Edwin S. Cushman and his sons Ed and Henry. Mr. Cushman was well known in the industry representing Plunkett - Webster Lumber Company as a sales representative in Maine, New Hampshire and Vermont for over 28 years. Mr. Cushman had joined Plunkett - Webster in 1946 after serving with the U.S. Army Combat Engineers in Europe. Prior to his service he had been employed by several retail lumber yards including Friend Lumber of Medford. Cushman Lumber started in a small basement office specializing in both softwoods and hardwoods including oak flooring, framing lumber and shingles. The company soon out grew its office space and relocated in September 1975 to Wakefield, Massachusetts and eventually, in 1977, to Bethel Vermont. 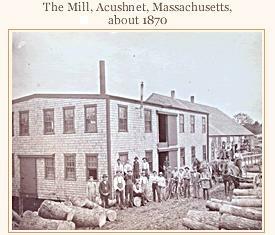 In January of 2012 Cushman Lumber moved again after an affiliate purchased a facility in	Charlestown New Hampshire. Through all these changes the company has grown tremendously over the years. The one thing that has not changed is our commitment to providing high quality lumber with personal service that is second to none.